The mangrove snapper is found from New England down throughout the Caribbean to South America. They are a favorite among anglers for their fighting ability and for their excellent meat. They can be found from inshore estuaries to deepwater reefs, and fishing for them will vary accordingly. Here are some tips I've learned over the years for catching mangrove snapper. The mangrove snapper is a schooling fish. They tend to stay grouped and move as a unit when they decide to move. You seldom find a lone mangrove snapper, so if you catch one, there are surely more to be had. 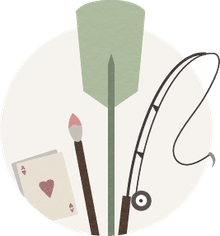 5/0 standard hook or 7/0 circle hook. Weights as necessary. Use only enough weight to get your bait to the fish. Free-line your bait with no weight if you can. Live bait: Shrimp, pinfish, mud minnows, and small crabs. Live bait needs to be alive. A smaller hook that is harder to see will get you more strikes. Snappers are wary, and big hooks tend to make them shy. Dead bait: Cut mullet and other cut-fresh fish. These fish are particular. The cut bait needs to be fresh and clean. Sloppy baits will not be eaten. Make sure the cuts are clean and straight, forming a nice chunk of bait. Artificial bait: Red and white bucktail jig, red and white nylon jig. Tip these jigs with a fresh cut strip of mullet or other fish. The strip needs to be no longer than the jig. Work the jig in an up-and-down motion as you retrieve it back to the boat or shore. Mangrove-lined banks: This could be around an island, a shoreline, or a canal. The roots of the mangrove trees are a perfect estuary for the snapper. They are so common there that the ‘grey’ name is usually changed to ‘mangrove’. Look to cast your bait as close to the mangroves as possible. Look for tidal current cuts around the mangroves where the water will be deeper. Rock jetties: Any rocky structure, like a jetty, holds baitfish and small crustaceans. Snapper will school on these structures. Once again you need to fish close to the structure. Docks and pilings: Snapper will also congregate around pilings and docks, that includes bridge pilings. Barnacles and other growth attract baitfish and small crustaceans, and they, in turn, attract the snapper. Oyster bars: In small estuary creeks where deep holes occur close to oyster bars, snapper will be found. This type of snapper, like all of them, identify with structure. That structure attracts marine growth which in turn attracts the baitfish and shellfish that snapper feed upon. There is no casting for mangrove snapper offshore--you will be strictly bottom fishing. here The trick for being successful here is to have a clean “junk free” terminal tackle set up. By junk free, I mean no snap swivels, no wire leaders, and as light a line and weight as possible. A Peen 4/0 or maybe smaller for a reel. A nice stiff bottom rod. 30- to 50-lb.test monofilament line. Only enough weight to get you to the bottom--as dictated by the current. 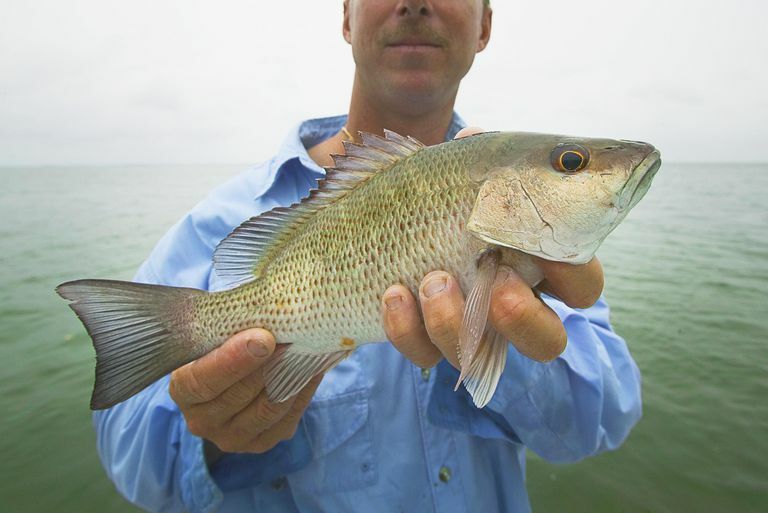 Live bait: Offshore mangrove snapper will be larger than their onshore counterparts. Live bait is always the preferred method, but sometimes it can be hard to find. Dead bait: Any of the live baits mentioned will work as dead bait as long as it is fresh. Some frozen baits are so old that they fall apart as soon as they begin to thaw, and your snapper total will fall apart as well. Good cut chunks of pinfish -- maybe one you caught that is too big to use live -- sometimes are the best bait going. Artificials: Very few mangrove snapper are caught on artificials, but it is still entirely possible to do so. Try deep jigging a red and white jig with a clean piece of strip bait on it. Most of the offshore wrecks and reefs hold gray snapper. They do move, so finding them on one reef this trip does not mean finding them there on the next trip. You need to have several locations (GPS coordinates) to try. You may have to hit several locations before you find fish.